Q. What is Kwanzaa? 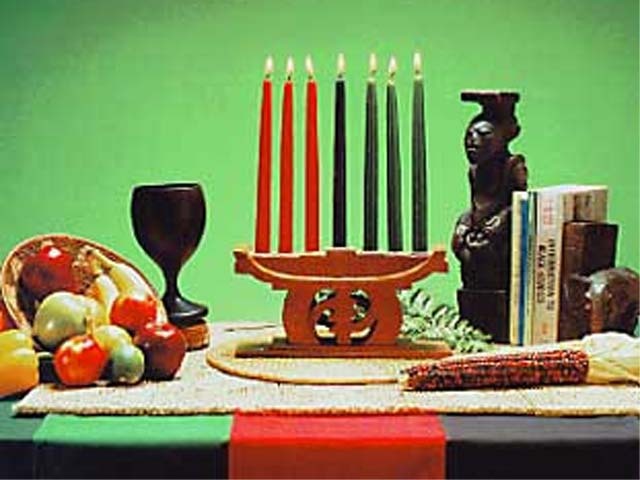 Kwanzaa is a unique Afrikan-American celebration that focuses on traditional African values of family, community responsibility, commerce, and self-improvement. Q. Do you have to be of a certain belief to practice Kwanzaa? No. Kwanzaa is neither political nor religious and despite some grave mis-conceptions Kwanzaa is not a substitute for Christmas. Kwanzaa is simply a time of reaffirming African people, our ancestors, and our culture. All you have to do is believe in the seven guiding African principles that make up Kwanzaa. Q. What are the seven guiding principles or Nguzo Saba of Kwanzaa? Kujichagulia/Self-Determination (KOO-GEE-CHA-GOO-LEE-YAH). Kujichagulia requires that we define our common interests and make decisions that are in the best interest of our family and community. Ujima/Collective Work and Responsibility (OO-GEE-MAH). Ujima reminds us of our obligation to the past, present and future, and that we have a role to play in the community, society, and world. Ujamaa/Cooperative Economics (OO-JAH-MAH). Ujamaa economics emphasizes our collective economic strength and encourages us to meet common needs through mutual support. Nia/Purpose (NEE-YAH). Nia encourages us to look within ourselves and to set personal goals that are beneficial to the community. Kuumba (KOO-OOM-BAH). Kuumba makes use of our creative energies to build and maintain a strong and vibrant community. Imani (EE-MAH-NEE). Imani focuses on honoring the best of our traditions, draws upon the best in ourselves, and helps us strive for a higher level of life for humankind, by affirming our self-worth and confidence in our ability to succeed and triumph in righteous struggle. Q. When did Kwanzaa start? 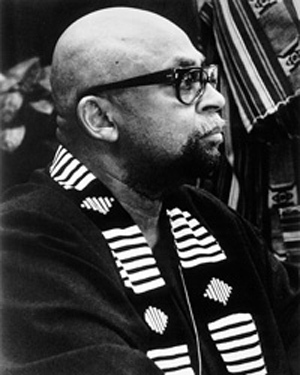 Founded in 1966 by Dr. Maulana Karenga, Kwanzaa has come to be observed by more than 28 million people worldwide. Q. When is Kwanzaa Celebrated? Kwanzaa is celebrated from December 26th to January 1st, and is based on Seven Guiding Principles called the Nguzo Saba. Mazao/The Crops. These are symbolic of African harvest celebrations and of the rewards of productive and collective labor. Mkeka/The Mat. This is symbolic of our tradition and history and therefore, the foundation on which we build. Kinara/The Candle Holder. This is symbolic of our roots, our parents, and our people..
Muhindi/The Corn. This is symbolic of our children and our future which they embody. Mishumaa Saba/The Seven Candles. These are symbolic of the Nguzo Saba, the Seven Principles, which African people are urged to live by in order live our lives in their own image and according to their own needs. Kikombe cha Umoja/The Unity Cup. This is symbolic of the foundational principle and practice of unity which makes all else possible. Zawadi/The Gifts. These are symbolic of the labor and love of parents and the commitments made and kept by the children. Bendera/The Flag. The colors of the Kwanzaa flag are black for the people, red for their struggle, and green for the future and hope that comes from their struggle. It is based on the colors given by the Hon. Marcus Garvey as national colors for African people throughout the world. In closing, if you like me then you also agree that if we were to live these priniciples everyday all of our families and communities would be much more happier, healthy, and properous. Happy Kwanzaa!! !